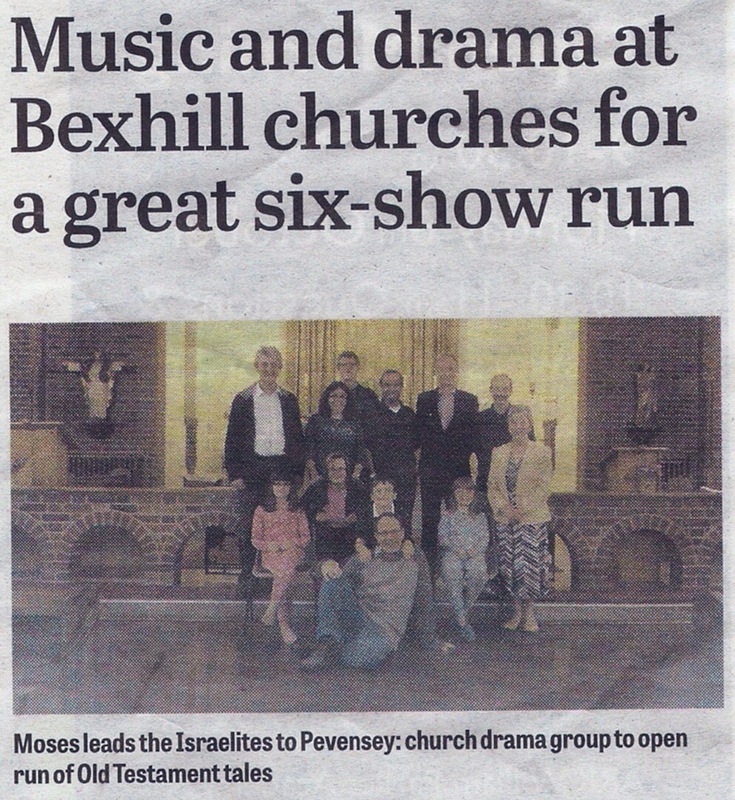 And with less than a week left to prepare for our first performance of “Let my people go“.we’re now in the Bexhill Observer! Alas we have to correct a few misconceptions in the piece published but it’s always nice to see something in print – all publicity is good publicity, to paraphrase Mr Barnam. Note that there is no hyphen. The performances are not just in and around Bexhill but we break out into Pevensey and Ninfield. So we’ll see you at one of the advertised venues. Sunday, 12 October at Holy Rood Church, Pevensey at 3.00 p.m.
Tuesday, 14 October at Beulah Baptist Church, Bexhill at 7.45 p.m.
Wednesday, 15 October at United Reformed Church, Bexhill at 7.45 p.m.
Thursday, 16 October at All Saints Church, Bexhill at 7.45 p.m.
Saturday, 18 October at Ninfield Methodist Church Hall at 3.00 p.m.
Sunday, 19 October at St Peter’s Community Centre, Bexhill at 9:45 a.m. The full article is reproduced below. Posted by harlekwinblog on 06/10/2014 in News, Performances, Press and tagged News, Performances, Plays, Press.